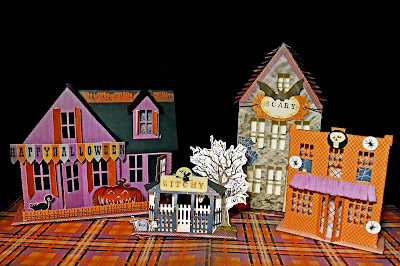 pinkpapercrowns: Spooky Halloween Village - DCWV "Spookytime"
Spooky Halloween Village - DCWV "Spookytime"
Hello my fine and fancy friends! 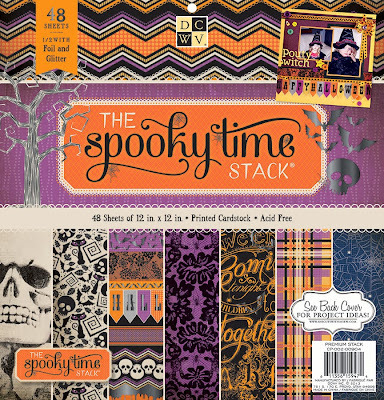 I'm here today to bring you some last-minute Halloween decor inspiration featuring The Spookytime Stack from DCWV! I had recently procured some amazing 3D cutting files from the Silhouette store and I was SUPER excited about creating a SPOOKY little Halloween village! 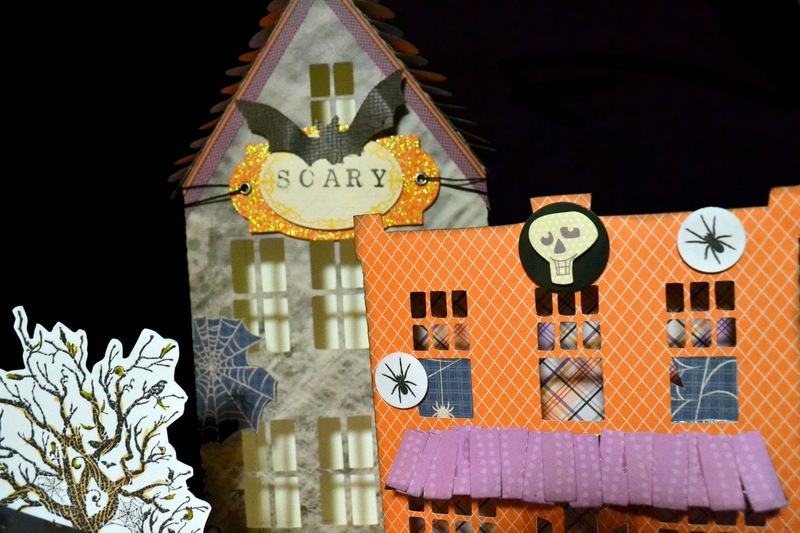 I used both the 12x12 and 6x6 paper stacks to complete my village along with some sweet (!) 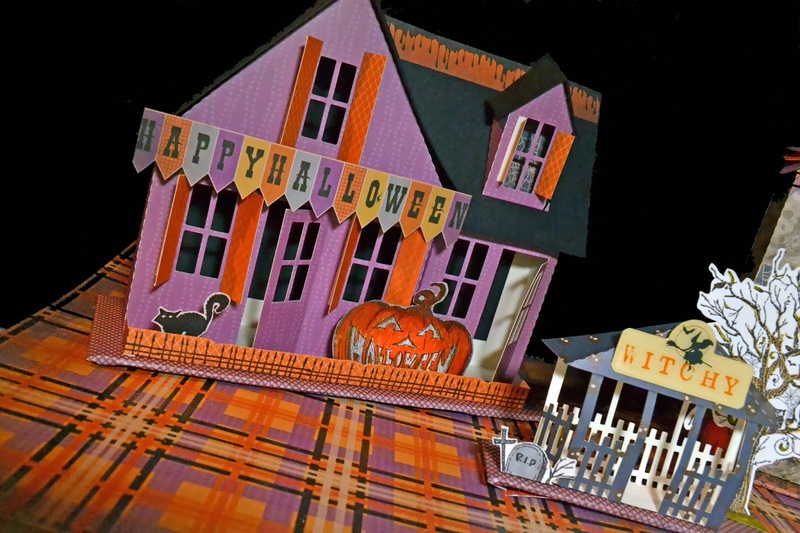 Halloween stamps and some Stampin Up! markers. This country house is my favorite of all the files because of the cute little window on the top. See the spiderweb through the shutters? I have lots of DCWV embellishments left from last year's collections and I put them to good use on all my buildings. Here's a tip: see the rickety awning on the short, orange schoolhouse? I used the positive leftovers from the country house's windows to create that wonky purple awning! Do you make decorations for Holidays using your DCWV stacks? Tell me what you made and what stack you used in the comments section! Thanks for stopping by! Later queenies! Wow Britt! Amazing little Halloween village!! I love all the details you added to each building! Absolutely fantastic-seeing this on my mantle next year. thank you for the wonderful inspiration. Wow Wednesday 1 - October "Toxic Spellbooks"